As an Elevator Pitch coach/trainer, Media coach/trainer and Presentation coach/trainer, Edo van Santen has trained over 50,000 people. He has taught every single one of them how to give more interesting, effective and powerful presentations or Elevator Pitches. Without exception. He guarantees results. Without exception, all trainees and coachees have learned to be able to perform on-stage. That is why Edo guarantees results. If, for any reason, you have not achieved the desired results, you get your money back, unconditionally. Honestly, over the last 12 years, it only happened one time, that coach and coachee were not the perfect fit. "Even days later, I was still sifting through the information from the course in my head and finding ways to better myself. A deep bow for Edo!" 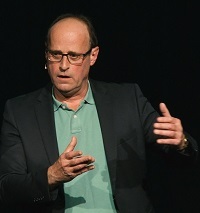 Edo van Santen, specialist in Elevator Pitches, offers guidance to people who want to “go for the Gold” onstage, in their public-speaking engagements and in the media or on TV. As a trainer and coach, Edo van Santen accomplishes amazing results. Edo strives to get the best out of people. If you are “going for the gold”, Edo is the perfect trainer and coach for you! If you’re willing to settle for mediocre results, the proverbial silver or even bronze, please look elsewhere for a trainer. You will be given dozens of tips on presenting yourself. You will learn how to use your own unique energy and passion to connect with your audience and to enjoy your presentation, effortlessly, without any of the anxiety over public speaking you may have experienced before. Now, imagine being able to deliver an amazing presentation. Wouldn’t that be a fantastic feeling? You will be able to present more efficiently following intensive and interactive training in a course or master class. Be it an Elevator Pitch, Sales Pitch, Sales Presentation, storytelling or speech, you will be able to master them all, and more. 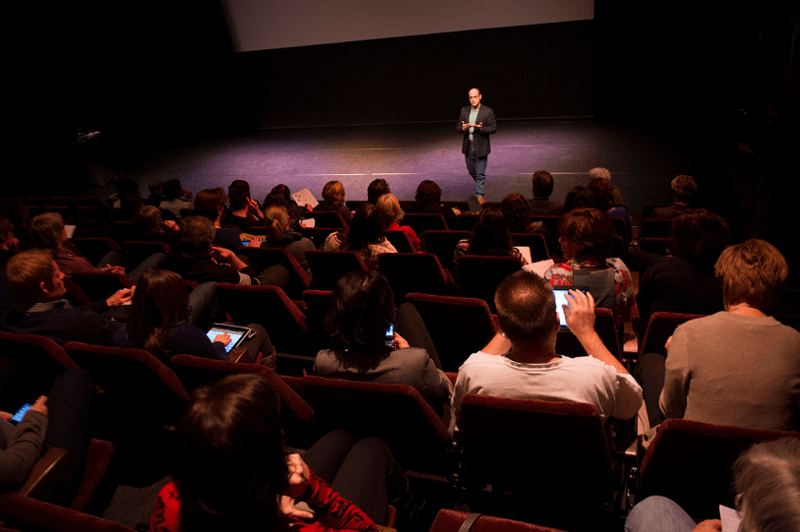 You will influence your audience without the aid of PowerPoint or Prezi. You will be able to gain and keep your audience’s attention, win them over and increase your influence. And the best part? You will enjoy every moment. If you are looking to get the most out of yourself and want to reach the top, Edo can help you. Edo gives winning presentations and strives for the greatest possible impact on his audience, which guarantees the best results! He is highly ambitious and provides intensive training or coaching, allowing him to help you make the most of your potential. You shouldn’t settle for anything less! Aside from the fact that Edo creates spectacular results, he is also an experienced entrepreneur and investor. He has professional experience in a corporate setting, with SMEs, and in the world of venture capital. This enables him to not only optimize your presentation techniques, but also to offer you advice on the content of your presentation or elevator pitch from an insider’s perspective. He can teach you to tailor your message to your target group, putting banks, venture capital and informal investors, fellow entrepreneurs and potential clients all within your reach.